King oyster mushroom, king trumpet mushroom, king brown mushroom, french horn mushroom, boletus of the steppes, trumpet royale, Pleurotus eryngii (L). Cardoncello (Italy), koningsoesterzwam / kruisdistel oesterzwam / duinvoetje (Netherlands), eringi / エリンギ (Japan), saesongi peoseot / 새송이버섯, (Korea), xìng bào gū / 杏鮑菇 / cì qín gū / 刺芹菇 / cì qín cè ěr / 刺芹側耳 (China). This is the biggest mushroom in the family of Oyster Mushrooms. Originally from the around the Mediterranean, but nowadays you can find the king oyster mushroom all over Europe and Asia too. In fact, many are grown in and exported from Korea. 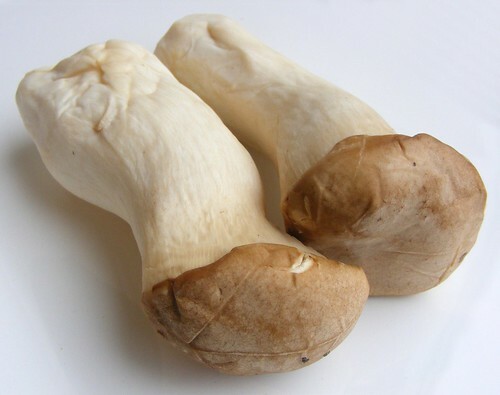 The mushroom has a thick, round, meaty stem with a small, light brown cap. King oyster mushrooms don’t have much taste when eaten raw, but when panfried or grilled they have a lovely, meaty umami taste. King oyster mushrooms are one of the best tasting mushrooms, the texture is slightly reminiscent of abalone. 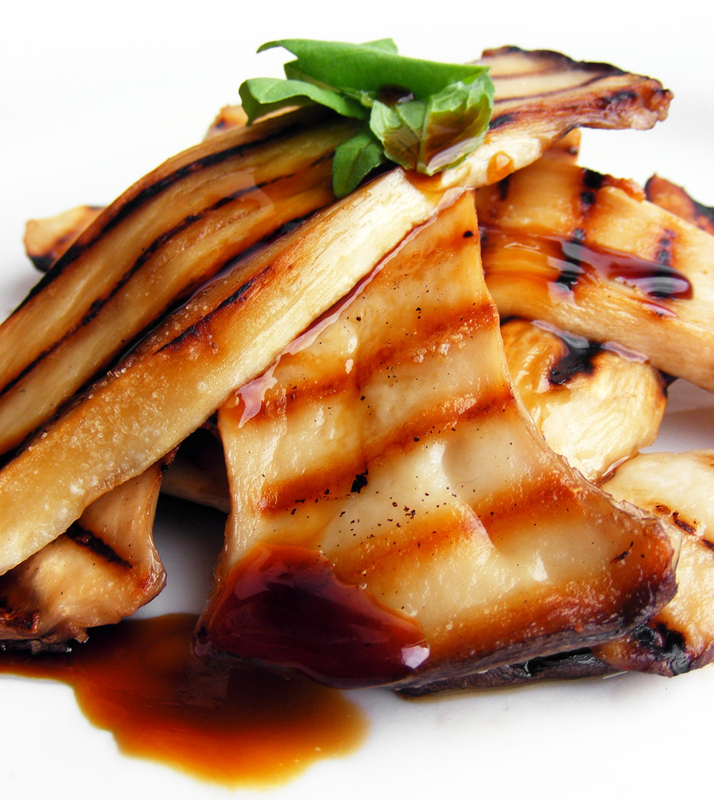 Just grill or panfry in slices on high heat and simply add a little melted butter, garlic and soy sauce. You can keep king oyster mushrooms for quite some time, vacuum packed, in the fridge.